Take Back Arbor Day | Take Back Halloween! Exciting news! We’ve been working super hard for the past month on our 2014 season of costumes, and we’re extremely proud to unveil an important new addition to our project: Take Back Arbor Day. It’s become increasingly clear in recent years that the rampant sexualization of Arbor Day has changed the character of what was once a creative and empowering holiday. Not that there’s anything wrong with sexiness, per se; we just think it’s important to remember that trees are more than just seed capsules and wind-borne pollen. So we’re introducing a new line of tree costumes that will celebrate the full beauty of these majestic woody plants, with easy DIY outfits that encourage learning and fun. Arbor Day falls on April 25 this year, so our new costume designs are just in time for this season’s round of parties, tree-planting ceremonies, and of course the obligatory Wear Your Tree Costume To Work Day that’s become a tradition in so many offices. 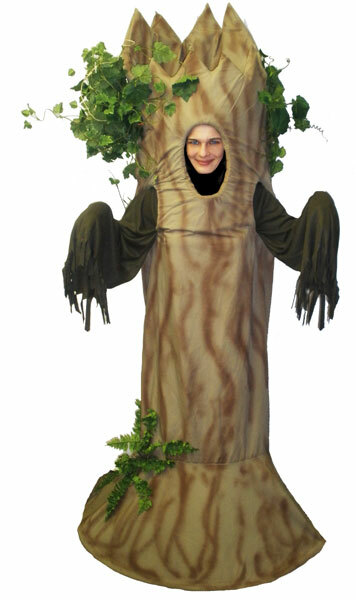 Check our website for full details on all our new arboreal costumes. And thank you for helping us Take Back Arbor Day!